Exclusive 4 Star Self-catering Cottages across ‘The Bridge Over the Atlantic’ at Easdale. 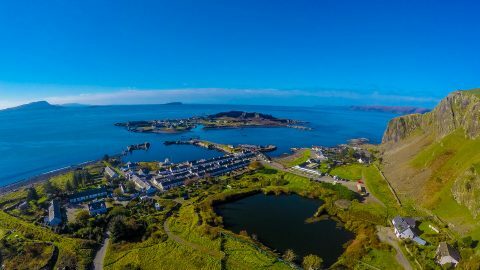 Tramway cottages is a family-run business offering four star self-catering accommodation in the 200 year-old conservation village of Ellenabeich, also known as Easdale. Ellenabeich is reached by crossing the famous ‘Bridge over the Atlantic’ to the Isle of Seil, Argyll, in the West Highlands of Scotland. Situated on the edge of the Atlantic Ocean, discover your own beautifully presented four star cottage with everything you need for the perfect getaway. Wake up each day to the sound of the Atlantic ocean breaking on the shores of Seil Island, in a secluded corner of Argyll’s majestic coastline and marvel at the incredible vistas from your Highland hideaway. The wild and dramatic west coast of Scotland makes a breathtaking backdrop for your holiday. Our cottages – named Seashell and Rockpool – are located in a West Coast Harbour Village, right by the sea. Escape to Easdale and book your stay today! 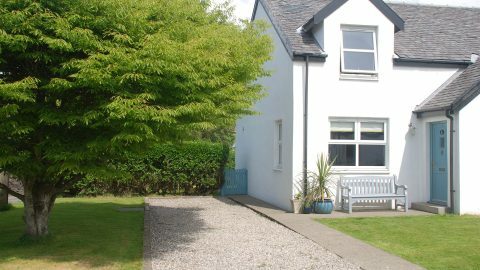 We have just returned from a fantastic holiday in this cottage, it is very well appointed and the owners have thought of everything that you might need from supplying washing powder to a selection of dvd's. The cottage is tastefully decorated throughout and very comfortable. We were fortunate to have the most glorious sunny weather which really made our stay even more enjoyable. I would highly recommend this cottage, and the identical cottage next door (No 1 Tramway Cottages). The decor is modern and bright and the accommodation is perfect for couples and families alike. The kitchen is well equipped with washing machine, tumble drier and dishwasher, and the log/coal fire is very welcoming on a wet cold night. We have rented this cottage during September for the last 6 years and love it. This is great holiday rental accommodation. The house is very comfortable and very well equipped. There are games and dvds if the weather is bad, as well as an open fire. The location is good for walking and further excursions around Argyll and the isles. Annabel is very welcoming and helpful. We have stayed here more than once; we hated leaving and look forward to returning.